I am a big fan of British composer/producer/musician Mike Batt, and I’ve shared some of his work here in Sunday Evening Video previously. In fact, I think I brought you a short clip from what I’m presenting tonight. This is the complete 1987 performance of Mike Batt’s adaptation of Lewis Carroll’s The Hunting of The Snark. 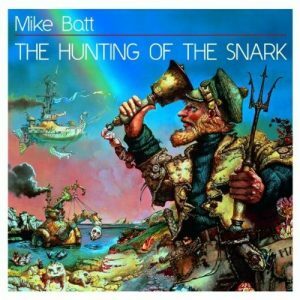 The Hunting of The Snark was originally released as a concept album in 1986 featuring vocals by Roger Daltrey, Art Garfunkel, Julian Lennon, Cliff Richard, Captain Sensible and Deniece Williams, narration by John Hurt and Sir John Gielgud and instrumental performances by Stephane Grappelli, George Harrison and the London Symphony Orchestra. This semi-staged production took place at the Royal Albert Hall on April Fool’s Day 1987, with Justin Hayward taking Art Garfunkel’s role of the Butcher from the original recording and Billy Connolly replacing Cliff Richard as the Bellman. Other singers recreated their roles from the concept recording. Hurt took over all of the narration. Stephane Grapelli was replaced by an orchestra member, while Midge Ure played Harrison’s guitar parts. Batt conducts and adds lead and backing vocals throughout. This concert was filmed and screened as a television special in some countries and Batt has generously posted it to YouTube, so that we can bring it to you tonight. Think how cool it would be if the West Viginia Symphony Orchestra had the budget to undertake a performance of this piece.